If you like saving money but won't sacrifice very much to do so, you'll be excited to see just how well the all-new Sedona stacks up against some of the category's finest. 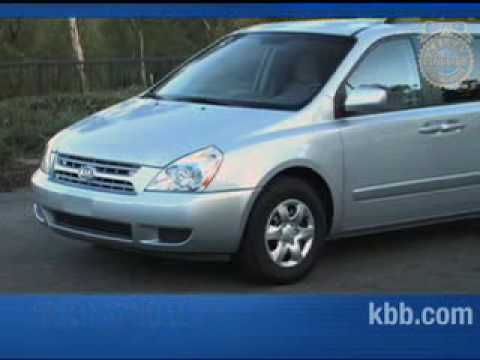 The Kia Sedona is a great family van that runs well. The inside is very accommodating for up to 7 people. Our Kia Sedona minivan was purchased used 3 years ago. This van has served us and our 6 grandkids very well. We are able to load up the kids and set out for adventures. We really like the separate heat and cooling controls. The seats are very comfortable for everyone. Given the year if this vehicle we drove from Ohio to Virginia Beach and then all over the area and back To Ohio in June. In July we drove from Ohio to Kentucky. My husband uses the van daily as an Uber driver. We have had little mechanical issues it. We plan to purchase another Kia later in 2019. It has power doors, trunk, windows, locks, and sunroof. V6 engine so gentler on gas than some vans. Built in reverse warning noise to let you know when you are in reverse and avoid accidentally collisions. Automatically slows van down when going downhill if you let your foot off of gas pedal. No mechanical issues that I know of for the vehicle. Great for the family with 4 bucket seats and one bench seat. Stop and go bench seating. Deep trunk space and overall spacious vehicle. Great vehicle for the family and can handle long road trips. My Kia has been particularly great with travel always enough room & a smooth ride. Our Kia Sedona has been with us over ten years. 4 kids, mom dad and a few animals later and she still runs beautiful. We have put less than 3, 000 into her since we bought her. It's a perfect fit for a nice sized family ( seats 7 ). We have been to 13 different states and have always had enough room for luggage, coolers and personal space. I love my mom van!